Compares greater Philadelphia with eight metropolitan areas using indicators of regional growth, family income, housing, taxes, education, arts and culture, health, safety, transportation, and environment. Maps Philadelphia area data. 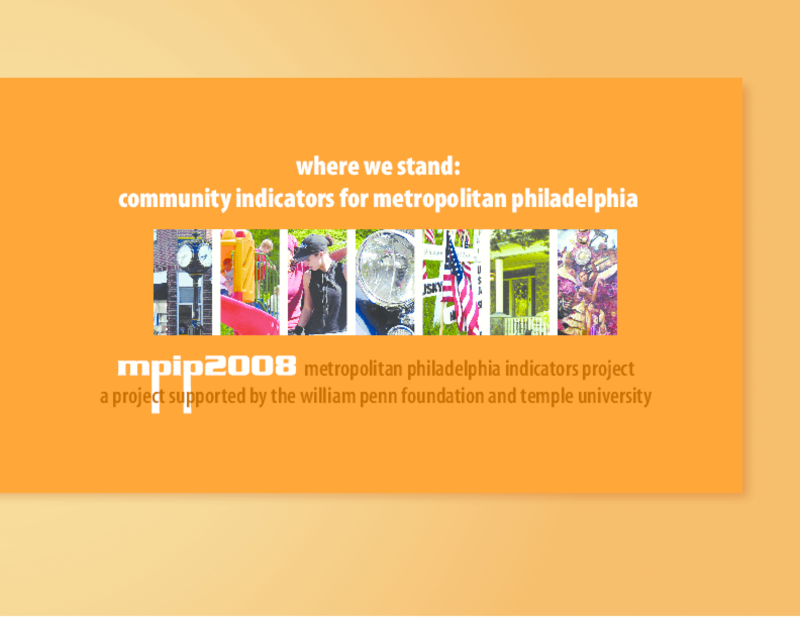 Copyright 2008 Metropolitan Philadelphia Indicators Project.